Nebraska football fans know that summer is for following recruiting. 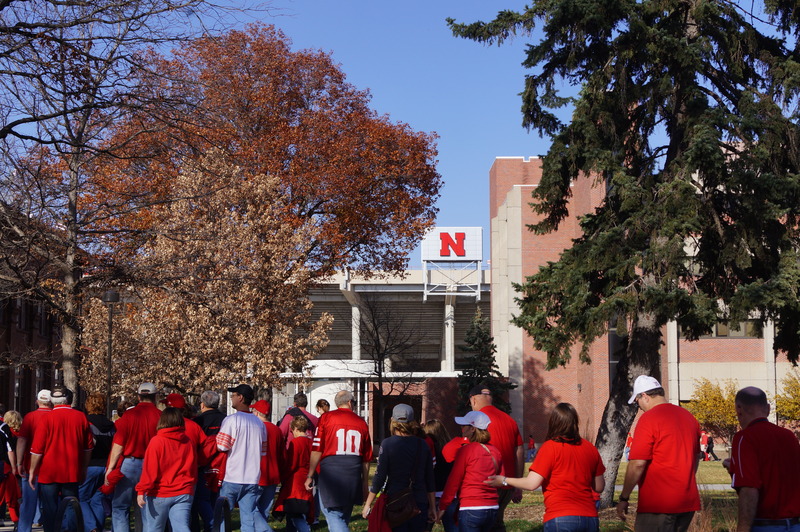 While others may be watching baseball or grilling brats, Nebraska fans will be wanting to keep up on how Bo Pelini will be filling out his 2015 class. Here are five of the top targets Nebraska is chasing for next year’s recruiting class. Measurables, ratings, and photos from 247 Sports. Even with the signing of Kevin Dillman, a second dual-threat quarterback would be a big addition to Nebraska’s 2015 class. Ketchum has the combination of skills to be a perfect addition to offensive coordinator Tim Beck’s attack. Landing Ketchum, while not critical, would be a huge boon for Nebraska’s recruiting class this year. Although Jackson doesn’t really come with a particular position, an athlete of his caliber would be a huge addition to Nebraska’s 2015 class. Nebraska is in competition with schools like LSU and Oregon for Jackson’s services, and it would still be a bit of a longshot for him to arrive in Lincoln next year. But don’t count out Nebraska yet, particularly with the recruiting prowess Bo Pelini and his staff have shown this year. It’s pretty clear that Nebraska believes it can never have too many running backs. Doherty looks to be another addition to Nebraska’s stable of I-backs, and an impressive one to boot in both size and speed. Nebraska looks to be in the lead to land Doherty, adding to an already-stacked 2015 class. While Nebraska is blessed with a deep and young corps of linebackers, that corps will always need refreshing. Beavers looks to have Nebraska at the top of his list, and his size would make him a good fit for the Blackshirts, particularly if he can develop as a pass rusher. Durham fits perfectly into the evolution of Bo Pelini’s defense, able to shift between linebacker and defensive end in much the same way that Marcus Newby looks to be fitting in as a hybrid role between defensive end and outside linebacker. Seeing a player like Durham as a target is a bit of an insight as to how Nebraska’s defense may very well look in years to come.